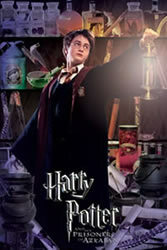 The Harry Potter books were written by the English writer J.K.Rowling (her website is: http://www.jkrowling.com). 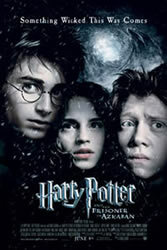 Studying Harry Potter books and films can be an enjoyable way of learning English (reading skills can be improved using the books, and listening skills by buying the audio books or by watching the films). Most of the characters speak with clear accents, and there is a lot of action. Many adults enjoy the stories: they are not only for children. Harry Potter's parents were killed by the evil sorceror (magician) Lord Voldemort when Harry was still a small baby. Harry survived, but a scar remained on his face in the shape of a flash of lightning. Harry lives with his mother's sister (Mrs Dursley, or Aunt Petunia) and her husband (Mr Dursley, or Uncle Vernon) and their son Dudley. They live together in a house in Surrey, in south England. The family are not kind to Harry, however. Harry is delivered a message by an owl called Hedwig. This tells him to go to the Hogwarts School of Witchcraft and Wizardry, where students learn about magic. He gets there by taking a steam train called the Hogwarts Express, which leaves from Platform 9 3/4 at King's Cross station in London. The headmaster at the school is a wise and powerful wizard known as Professor Albus Dumbledore. At the school Harry joins the school house called Gryffindor, where he makes friends with a boy called Ron Weasley (who has twin brothers called Fred and George, and a sister called Ginny) and with a girl called Hermione Granger. Harry also meets a friendly wizard called Hagrid who tries to keep him safe. 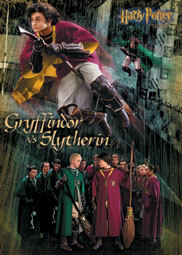 However, there is a rival school house called Slytherin where a boy called Malfoy becomes Harry's enemy. The head of Slytherin Professor Snape also hates Harry. The other school houses are Ravenclaw and Hufflepuff. The school houses play a rough team sport called Quidditch (the players of the game fly on broomsticks), competing to win the House Cup. Six Harry Potter books have been written so far. The seventh book is still being written. Films have already been released for the first books. The seventh and final book is Harry Potter and the Deathly Hallows. At least two characters are killed in this book - is Harry one of them? The new book went on sale on Saturday 21 July 2007. 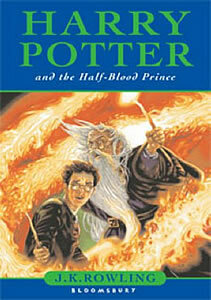 The sixth book is Harry Potter and the Half-Blood Prince. The audio version of the book (read by Stephen Fry) was issued on 25 August 2005. The film is due to be released in the UK on 17 July 2009. 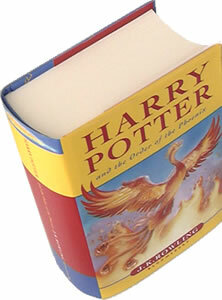 The fifth Harry Potter book was released on Saturday 21st June 2003. It was the longest book so far: 766 pages (38 chapters, 255,000 words; one third longer than the previous book, which had 191,000 words). It includes the death (in a horrible way) of an important character. Harry is 15, and is starting to become interested in girls. The film version was released in the UK on Thursday 12th July 2007. 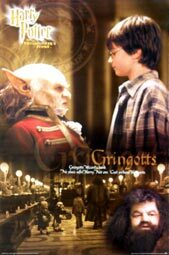 The fourth film Harry Potter and the Goblet of Fire was released in the UK on 18th November 2005, both in normal and big-screen IMAX cinemas. 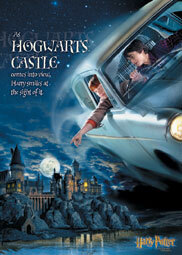 The story is centred around an international competition called the TriWizard Tournament. 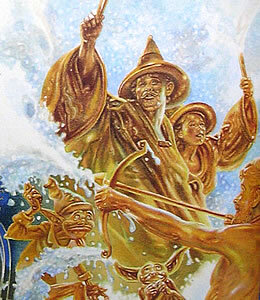 The contestants are known as champions, and their names are chosen from a magical cup called the Goblet of Fire. The competitors are three schools taking part are Fleur Delacour from the French school Beauxbatons Academy of Magic, Viktor Krum from the East European Durmstrang Institute for Magical Study, and both Cedric Diggory and Harry Potter from Scotland's Hogwarts School of Witchcraft and Wizardry. Tasks are to retrieve a golden egg from a fire-breathing dragon, to rescue something valuable from the bottom of a deep lake, and to get through a maze containing a variety of dangers. Another key event in the film is the Yule Ball. This is a Christmas dance, for which the Great Hall at Hogwarts is transformed into a Winter Wonderland. Harry is starting to be interested in girls, and has a crush on Cho Chang. Hagrid also falls in love. In the UK the film has a 12A certificate, meaning that children under 12 must be accompanied by an adult if watching the film at a cinema. The book, which has over 700 pages, has been compressed into a film lasting 2 hours 40 minutes. It is directed by British director Mike Newell, whose previous films include Four Weddings and a Funeral. 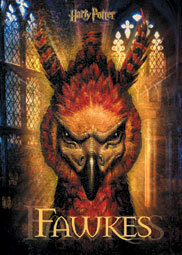 To watch the film trailer, see: http://www.gobletoffire.com. 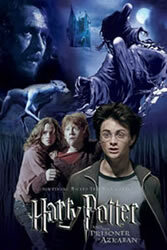 Harry Potter and the Prisoner of Azkaban is the third Harry Potter film. The film permiere in the UK was in Leicester Square on 30 May 2004. For twelve years a prisoner called Sirius Black (Gary Oldman) has been kept in the fortress of Azkaban, after killing thirteen people with a curse. 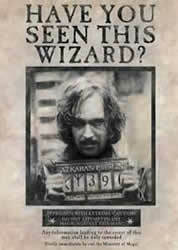 But now he has escaped and is coming after Harry Potter at Hogwarts School of Witchcraft and Wizardry. As well as fighting the forces of darkness, Harry and his classmates Ron Weasley and Hermione Granger, now in their third year at the school, must also deal with the changes brought by adolescence. The director of the film is Alfonso Cuaron, whose last film was "Y Tu Mama Tambien". Michael Gambon replaces the late Richard Harris as the headmaster Dumbledore. 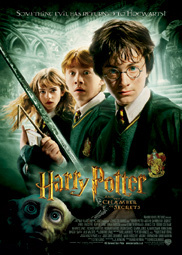 Harry Potter and the Chamber of Secrets was the second Harry Potter film. 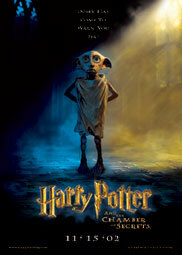 It opened in cinemas across the UK in the middle of November 2002. 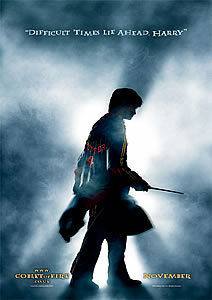 Harry Potter - a British boy with magical powers (a wizard). Mrs Dursley (Aunt Petunia), Mr Dursley (Uncle Vernon) - Harry lives with the Dursley family, but they are not kind to him. Professor Gilderoy Lockhart - new teacher of "Defence Against the Dark Arts", and author of the popular book "Magical Me"
Professor Sprout - teacher of "Herbology"
The Whomping Willow - the tree which is hit by Ron's flying car: it tries to fight back! Daniel Radcliffe plays Harry Potter. The 12-year old actor lives in London and also starred in the first film. His voice deepened ("broke") after making the first film. Richard Harris plays Professor Dumbledore. The actor played the Emperor in the film Gladiator. Unfortunately he died shortly after making this film. Dame Maggie Smith plays Professor McGonagall. She is one of the top British actresses, and has played in many television series and films, including the recent films Tea with Mussolini and Gosford Park. Julie Walters plays Mrs Weasley. She was Billy's ballet teacher in the film Billy Elliot, and starred with Michael Caine in Educating Rita. John Cleese plays Sir Nicholas. He is a very famous British comedian. He appeared in the television series Monty Python's Flying Circus and Fawlty Towers, and plays the scientist Q in recent James Bond films. Robbie Coltrane plays Hagrid. He is best known in the UK as the star of the television series Cracker. He has also appeared in many films, including roles in the James Bond films GoldenEye and The World Is Not Enough. Kenneth Branagh plays Professor Lockhart. He is a well-known actor and director who often performs versions of William Shakespeare's plays either in a theatre or in a film. His most famous role was as actor and director of the 1989 film version of Henry the Fifth. A Muggle (a rude name for which is a Mudblood) is an ordinary human who has no magical powers. A Half-blood is a child of a couple of which only one has magical powers (a wizard or witch). Both parents of a Pure-blood have magical powers. A Parselmouth is someone who can talk to snakes. Parseltongue is the language spoken by snakes. Quidditch is the sport played by pupils at Hogwarts school. Skele-gro - a medicine which helps bones (your skeleton) to grow. Gringotts - the name of a bank used by wizards. - King's Cross station platforms 4 and 5 were used for platform 9 3/4, which is where Harry and the other students take the train to the school. A sign has been put up near platform 9 (see the photo above). J.K. Rowling had the idea for Harry Potter while taking the train from Manchester to King's Cross. - The Hogwart's Express (the steam train) is shown travelling across Glenfinnan viaduct on the West Highland Line in Scotland (between Fort William and Mallaig). In summer months it is possible for tourists to take a steam train on this line: http://www.steamtrain.info/jacobite.htm. - Goathland Station, North Yorkshire (http://www.northyorkshiremoorsrailway.com) was used as Hogsmeade station (this is where the Hogwart's Express terminates when the students are taking the train to the school). Goathland is a village on the Yorkshire Moors, and is also used as the village of Aidensfield in the popular TV programme "Heartbeat". - The outside of Hogwarts school is Alnwick Castle in Northumberland (http://www.alnwickcastle.com). 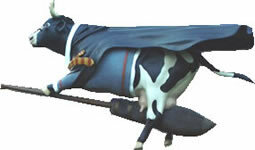 You can see this during the Quidditch games. It is the second biggest inhabited castle in England (Windsor Castle is the biggest). 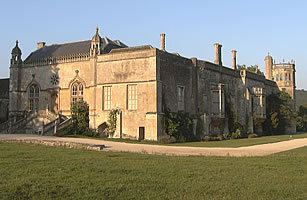 It was also used in the films "Robin Hood - Prince of Thieves" and "Elizabeth". - London Zoo was used for the scene where Harry learns that he can communicate with snakes (http://www.londonzoo.co.uk). 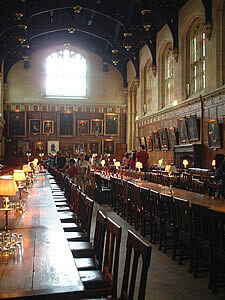 - Some of the Hogwart's school scenes were filmed at Christ Church college at Oxford University (Hogwart's dining room is based on the Great Hall in this college) (http://www.visitchristchurch.net). See also: http://www.bbc.co.uk/oxford/harry_potter/oxford_tour.shtml. - Gloucester Cathedral (a Norman cathedral) was used in some of the ghost scenes (http://www.gloucestercathedral.uk.com). - Durham Cathedral provided the setting for one of the classrooms as well as in a scene when Harry is with his owl Hedwig (see: Travel/Tours/England/Durham). 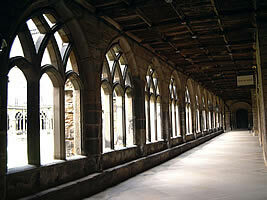 There is a map of Harry Potter film locations at: http://www.britishtours.com/harry_pottermap.html.